Posted on August 18, 2017 by thelostlighthouse	in Comics, Literature and tagged art, Batman, comic book review, comic books, Dark Nights Metal, DC comics, DC Metal, dinosaurs, Greg Capullo, Justice League, Literature, Scott Snyder, superhero comics, superheroes, TLL. Time for a brand-new DC event launch. With Rebirth ticking over DC are promoting this as a wild, extravagant adventure. Personally, much as I’ve seen plenty of promotion for this series, I’ve not engaged with any of the books laying the ground work for it. 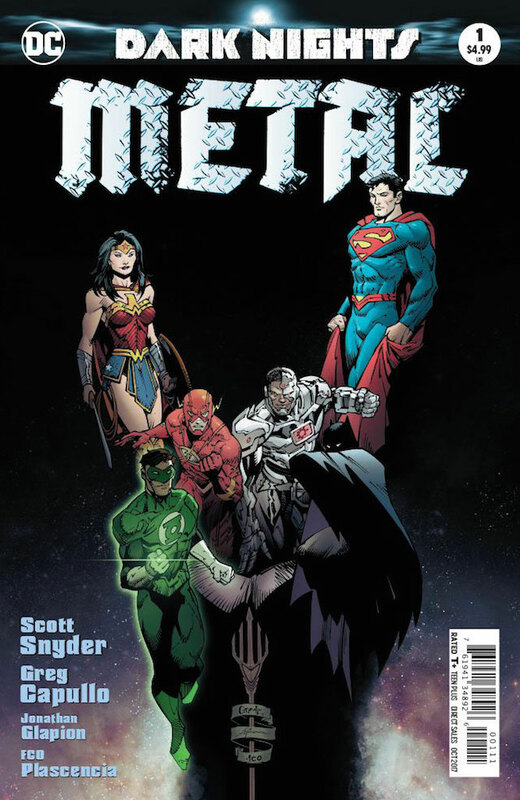 It is however, written by one of DC’s star writers, Scott Snyder. Snyder has written this to be read as a standalone series where so long as you have an understanding that Batman is Batman, Superman is Superman and Aquaman is underrated you can thoroughly enjoy this series. Picking up a series named metal, with vague hints in the advertising to dark multiverses and so on I picked this up expecting DC going down the same route they have with their films and some of their comics with something a little too dark and gritty. This is nothing like what I expected. 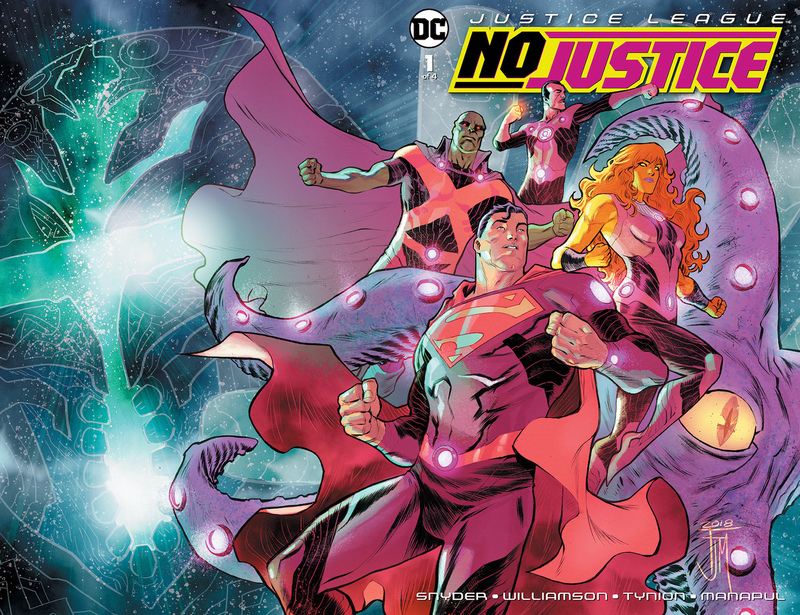 The Justice League from the get go are working together against DC classic villain Mongul, and things get both fun and ridiculous very fast. This issue has pretty much everything. Mystery and intrigue? Check. Awesome battle scenes? Check. Dinosaurs? Check. 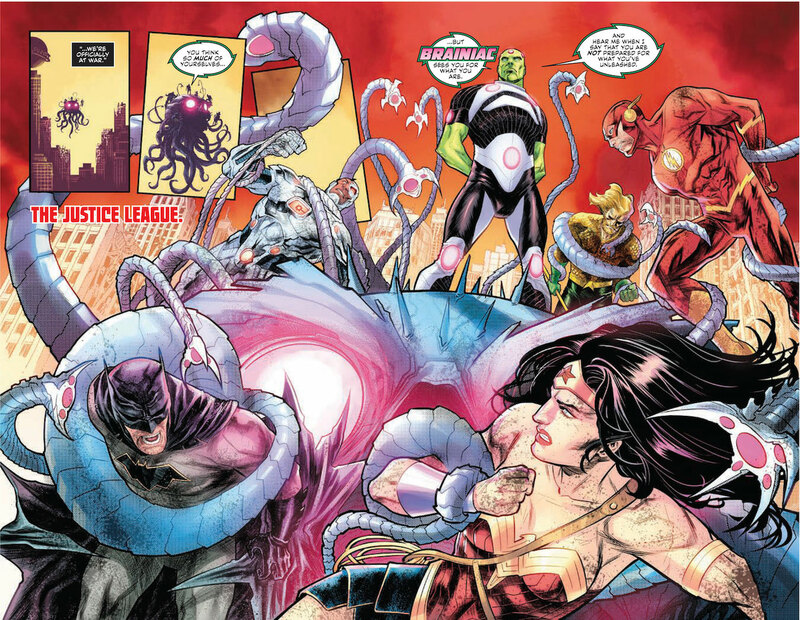 A Justice League themed transforming robot sequence? Check. Snyder also brings in a DC character that’s been fairly neglected from the New 52 and subsequent Rebirth which is great to see. There is certainly an impression that Snyder has been let loose to do what he will with his creative talents, even treating us to a twist at the end bringing in a Neil Gaiman character to the mix (who according to articles on the series is very supportive of it). Capullo and Snyder have formed an outstanding team before, working on one of DCs flagship titles, the main Batman series for DC during the New 52 release. 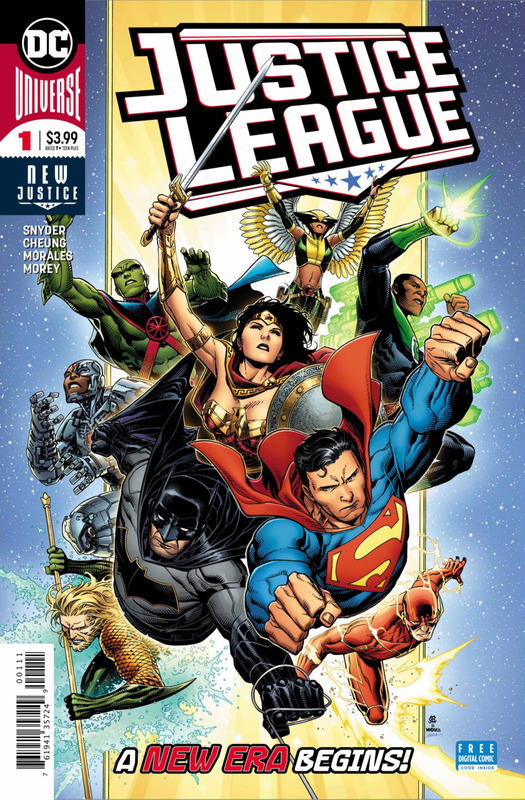 It’s great to see his take on each of the other Justice League characters. Plascencia has their work cut out with such a variety of environments from gladiatorial arenas to spaceships and dinosaur islands. The dinosaur loving kid in me was very pleased to see the attention to detail with the dinosaurs drawn accurately with prehensile feathers. 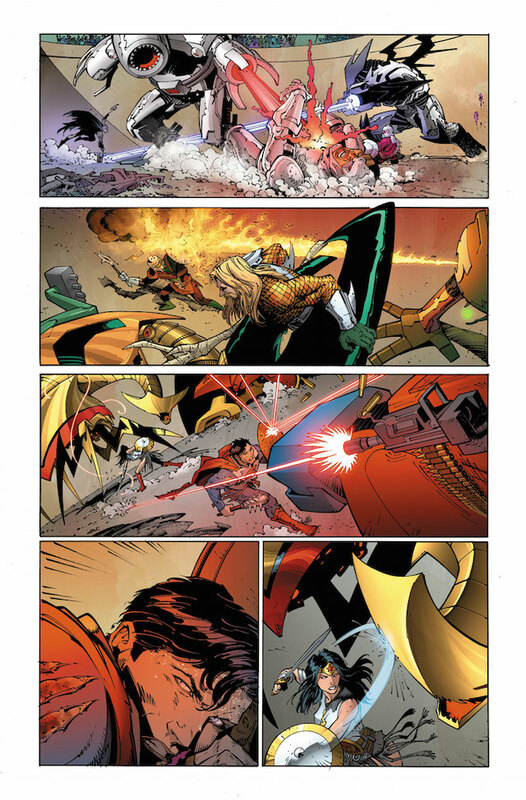 Additionally, the action scenes are drawn to just look fun, which makes such a difference in an issue. With this pretty all star team working on the comic, how do the hands look? Actually there aren’t very many in this issue, where they are drawn they of course look great. In battle they look dynamic, or awesome and robotic and outside of battle they’re used well to communicate body language. Honestly though, with so few in the issue I feel I can only score this. 7.5/10 for hand drawing skills! This was a lot of fun and feels very different. There’s a bit of a Stranger Things or Neil Gaiman vibe about it. It also feels very welcoming for new readers, feeling very much like its own contained story. The middle of the issue does slow down a bit, but it’s well worth the read.